Below are some reviews and testimonials from the couples whose weddings we organized in the past. Words cannot express our extreme gratitude to Melita. Our wedding was perfect, and we had such an enjoyable relaxing day. Melita was extremely professional and helpful through the whole process ensuring everything ran smoothly on the day. Her choice of suppliers such as hairdresser, makeup artist, photographer and florist were very professional, and we were very happy with the end result. We highly recommend Melita and Dream Wedding Slovenia to organise your wedding in Lake Bled. Thank you so much for everything it was a beautiful day and everybody enjoyed themselves so much. The organization was wonderful and helped us stay relaxed. Lots of guests are already planning trips back to Bled and some are still exploring Slovenia now! We have just arrived back in Italy. The photos are beautiful and we can't wait to see more! 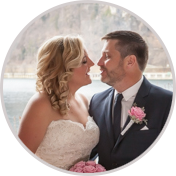 From day one enquiring with Melita, knowing absolutely nothing about organising a wedding in Lake Bled, she made us relax and feel like we were in good hands. 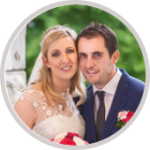 Living in Ireland & planning a wedding abroad had us both feeling a little anxious but from start to finish Melita took meticulous care of every detail to ensure our fairy-tale wedding was brought to life. She put us at such ease. Her advice on styling and suppliers was perfect. 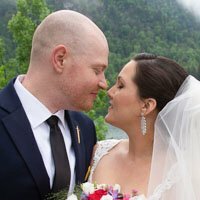 Her recommendations and planning led to a seamless day where we could totally relax, enjoy each other and our guests – without having to worry about a thing. 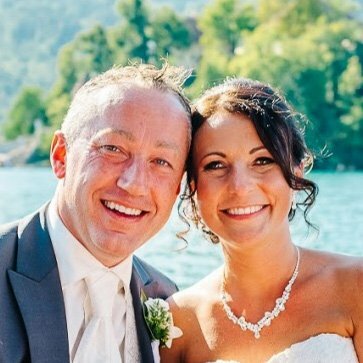 Not only was Melita there for myself & Robert in helping us plan the wedding, but she also helped most of our guests who were travelling from Ireland to find accommodation & she took such good care of them during their stay in Lake Bled. Nothing ever seemed too much for her. By the end of the week my friends & family were calling her the real life Mary Poppins & asking “is there anything this woman can’t do?” She is a truly wonderful wedding planner & I can’t recommend her highly enough. Melita has the most bright, bubbly, positive personality and she was an absolute pleasure to work with. Manda and I were flying halfway around the world to be married in the beautiful setting of Lake Bled, Slovenia. We spent weeks deciding on the location in Europe for our wedding. Lake Bled was a fairy-tale come true. The reason our experience went so magically, Melita! We communicated via email before meeting her online via Skype. Coming from another country, it was important for us to have a local wedding planner to make all the arrangements for our big day. She handled everything for us. Our wedding day arrived and Melita allowed Manda and I to have a stress free, real-life fairy-tale! The day could not have gone better, Melita was amazing and we could not imagine a better wedding planner! 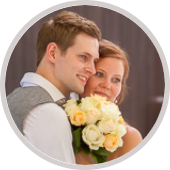 When we decided to have our wedding in Slovenia we contacted Melita from Dream Wedding Slovenia. Melita took care of planning our wedding and arranging the required documents. Throughout the day she kept track on time and made sure that we and our guests were having a fantastic day. Melita did a wonderful job creating the small and intimate fairytale wedding that we dreamed of. When we met Melita we found a really warm and kind woman with a fantastic personality. She cared a lot about us and came up with great ideas to the wedding that we would not have thought about. We hope to see her again next time we are visiting Slovenia. It's been already a long time now and every day we still cannot stop telling people about our wonderful experience and how amazing you were in helping us!!! We still constantly remember our time in Bled and how perfect and wonderfully well organized and magical it was. You did a fantastic job, and we will continue to tell everyone how great of a job you did and everyone who helped. Having lived between Slovenia and England for the last three years, once we got engaged there was only one choice for a wedding venue; Lake Bled. It was only three months from engagement to wedding and so time was very tight, especially as the wedding involved the Slovenian, United Kingdom and Hungarian authorities. Despite being in England for the months leading up to the wedding, everything was communicated and we were able to make decisions from abroad. The wedding lasted three days, involved the Castle, Island, Hotel Toplice and Lake Bohinj, and in reflection, we wouldn’t have changed a thing. 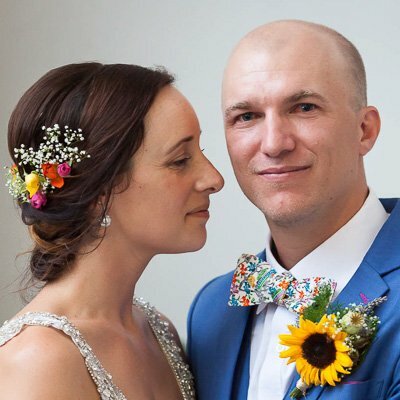 It all ran so smoothly, thanks entirely to Melita from I Do, who consistently listened to our ideas and needs, gave us options, opinions and ideas and gave us a schedule to ensure everything was completed on time. 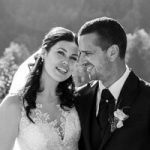 After deciding to get married in Lake Bled we sought out a wedding planner and found Melita. She was instrumental in the planning and running of the happiest day of our lives. We started planning our wedding a year in advance and Melita was always quick to respond to our emails. She helped us find places to stay outside our wedding period and she was happy to meet with us for hours to discuss wedding ideas and our vision. The florist, hairdresser, and photographer that Melita recommended to us were fantastic, and she always had other options if we were not happy with anything. Unfortunately, it rained on our big day, but luckily Melita was there and she quickly, calmly and efficiently moved everything to our ‘Plan B’ which insured that our day continued smoothly. 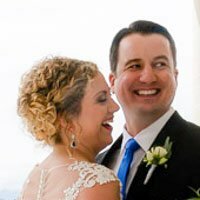 We believe she went above and beyond her duties as a wedding planner as she was always available and responsive for any extra requests. Charlotte and I can wholeheartedly recommend Melita at Dream Weddings Slovenia. We are thankful that we found you! Can't be happier. You made an outstanding job. You helped to make our day special, fluent and flawless. This charming day stays with us forever with you and thanks to you. Der schönste Tag unseres Lebens!!! Als wir uns entschieden hatten, in Bled zu heiraten, engagierten wir Melita. Schon beim ersten Treffen nahm Sie sich viel Zeit und organisierte direkt mit uns den Termin, der sowohl in der Kirche, der Burg und dem Hotel möglich war. Bei der weiteren Planung hatte Melita immer ein offenes Ohr für unsere Wünsche, war unglaublich geduldig bei Änderungen und hielt uns immer auf dem Laufenden über den aktuellen Planungsstand. Am Tag der Hochzeit verlief alles perfekt. Melita hatte tolle Sänger für die Kirche organisiert, die Blumendekoration war wunderschön und die Trauung einmalig. Auch die Feier auf der Insel und der Burg waren professionell organisiert und für uns und auch unsere Gäste ein unvergessliches Erlebnis. Es war definitiv der schönste Tag unseres Lebens. Vielen Dank nochmal an Melita für die professionelle Organisation!